Happy Wednesday, everyone! I finally started editing some of the pictures that I took from Tokyo. 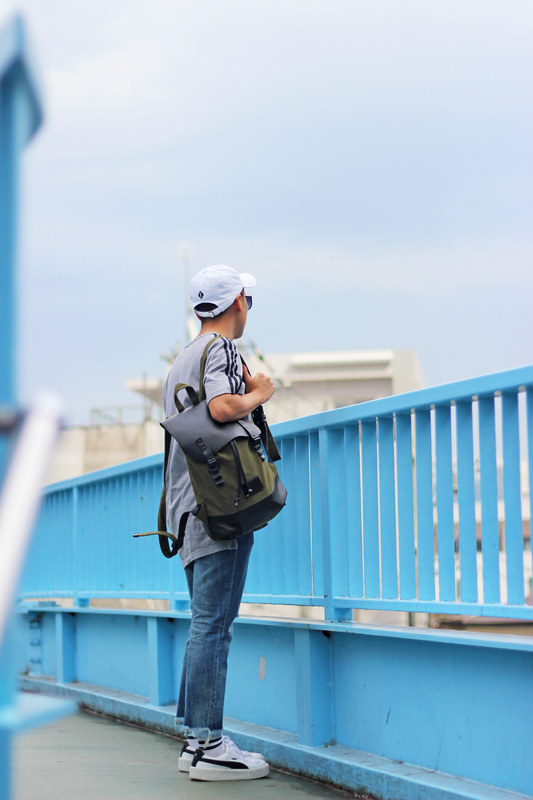 When I started looking at the pictures from my camera, my first thought is to share the new Gaston Luga backpack. 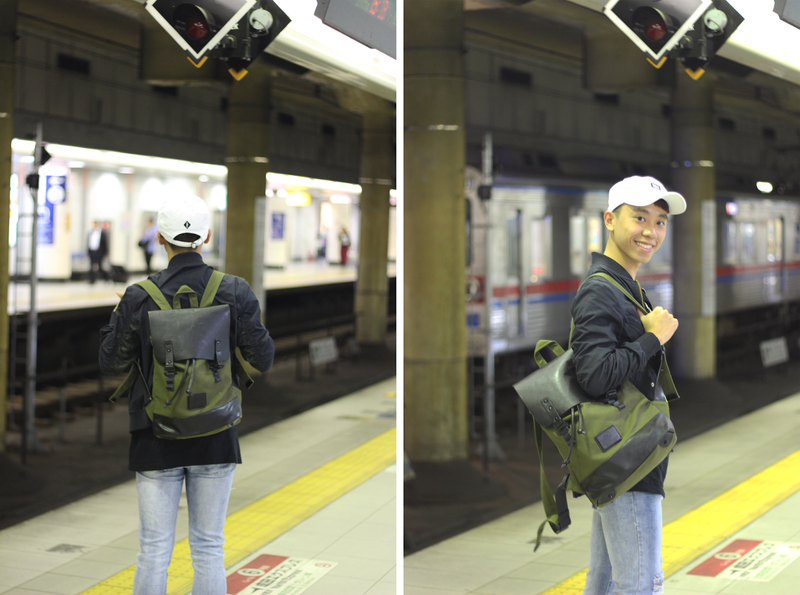 I wore this olive green & black backpack for my entire Tokyo trip! Not gonna lie, when I first held the backpack, I found it so heavy. The reason behind is because of the thick and strong cotton fabric for durability. Therefore, I felt so safe when I used this backpack for my Tokyo trip. When I really wore the backpack, I did not think it was that heavy! It is just like a usual backpack that I use everyday. Also, I really like the olive colour of the backpack. Perhaps the olive colour goes with almost every outfits. The backpack also comes with different colour such as black&black, navy&brown. For more information about the backpack, you can click the official website of Gaston Luga. You can use the discount code "danielpoon" for 15% off from purchase the backpack. It is also currently in free delivery and has 20% EU VAT Tax Rebate. Enjoy! Such a great backpack, Daniel! I love the color combination, it's sure to go well with everything, as you've proven with your outfits! Thanks for sharing and I hope you have a great week! The backpack is so wonderful versatile! Such a great backpack and I love the look! It's a shame it was heavy but at least it was durable! And it has a chic look to it! Nice colour combination for a backpack - love Tokyo, I am sure you had a great time! I admit this is a nice backpack, the colour and style is not common. Great find! outfits are so on fleek! This is a color combo I wouldn't have thought would work but it totally does. Love! 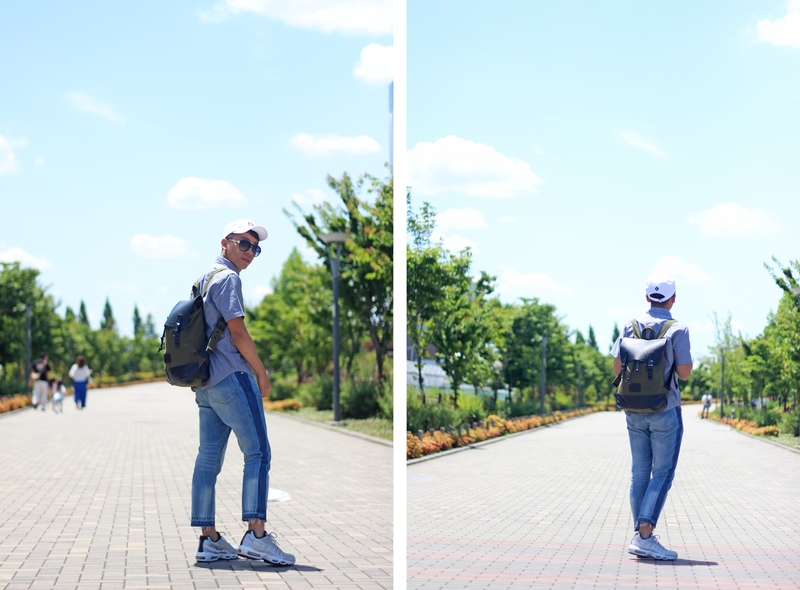 Really cool backpack and perfect style! This backpack is really nice!! I love the design and the colours. It's really elegant, and adds so much value to a casual outfit. 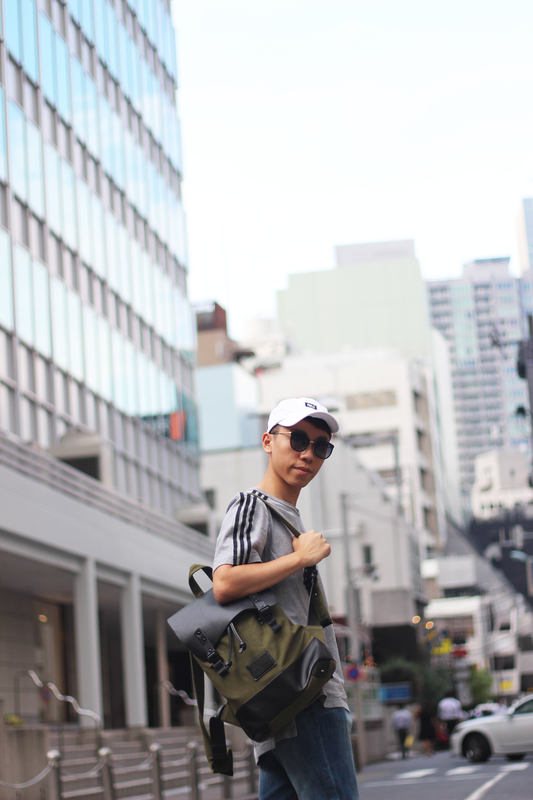 Wow,looks awesome and your Tokyo trip with Gaston Luga backpack look`s tremendous.I would love to buy this backpack look`s awesome ross harper this is what we were in need of.I will contact you Daniel for this beautiful back pack.